There are a lot of atheists in Turkey. But they are mostly active on the internet. For a lot of atheist activists, it is still not advisable to carry out activities in the real world, with an openly atheist identity. A lot of atheist activism can be carried out as an evolutionist, or someone who supports humanism and/or secularism, etc but usually not as a plain atheist. With an increasing pressure from the current islamist government, and no civil rights organizations to help them, Turkish atheists are imprisoned on the internet. One of the biggest problems Turkish atheists have is the organized campaigns designed to pressure and silence them. 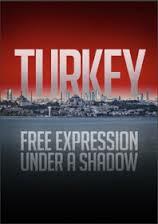 Especially the constant pressure of lawsuits they face in the recent years that are usually filed by some islamist groups, the most active one being Harun Yahya (Adnan Oktar)’s group.